Help these glamour girls light up the dance floor with amazing sparkling outfits! 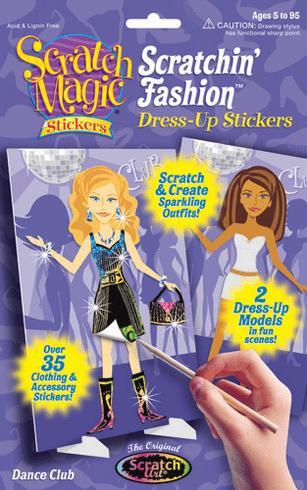 Just choose from the fabulous fashion stickers, scratch in your own designs to reveal sparkling and multicolored stickers and show off the coolest new fashion designs . . . yours!